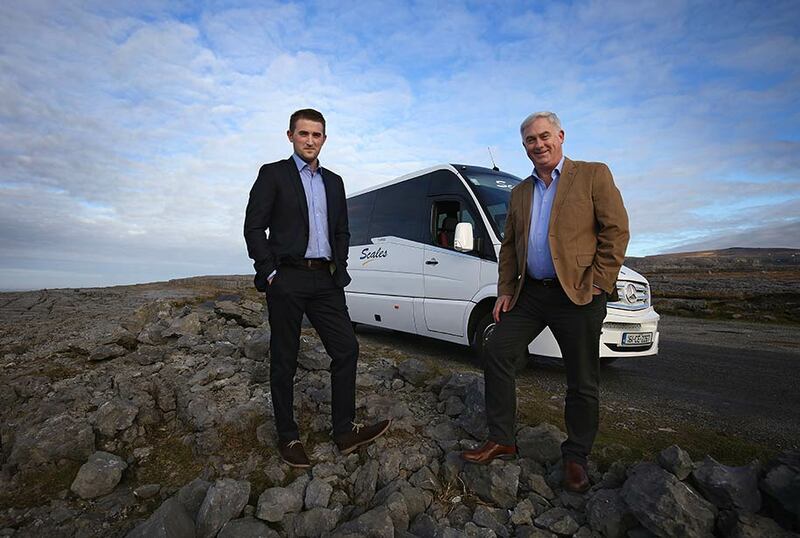 Scales Coaches is a family run business that has been operating throughout Ireland for over 40 years. Based in Ennistymon County Clare, the business was started in 1970 by Tom Scales and is now owned and run by his son William Scales and grandson Joseph. We aim to provide the very best in passenger transport with the highest quality fleet of vehicles, and customer care to match. Whether you require an airport transfer, are planning a business outing, or you are coming to Ireland for an extended stay, we have a solution to suit your requirements. Over the years we have built up considerable knowledge and experience of our business as well as a large network of affiliates, and we continually invest in high quality, bespoke vehicles. This, along with our team of dedicated, professional personnel, puts us best placed to take care of your travel requirements during your time here in Ireland.